I'm in new room heaven! We are now using the room on a daily basis and I'm loving the storage, the light, the freshness. 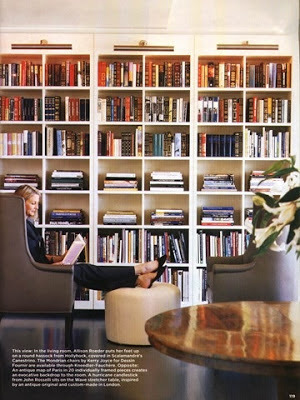 I love seeing a well styled bookcase, even when it is filled with everything but books. Bookcases are a perfect way to make use of storage, display your collectibles and create style in a space. You can tell alot by what's in a person's bookshelf. It is an opportunity to display what you love to read and collect. Styling a bookcase is often a challenge for many people. Here are a few tricks on how to beautifully display what you love, instead of throwing in everything you own, or need to store on a shelf. Yes, obviously their intention in life is to store books but you can display just about any 'ole thing you want on there. However, there is something so beautiful about a wall of well stacked books. Take everything out of your bookcase to start with a clean slate and look at it with fresh eyes. 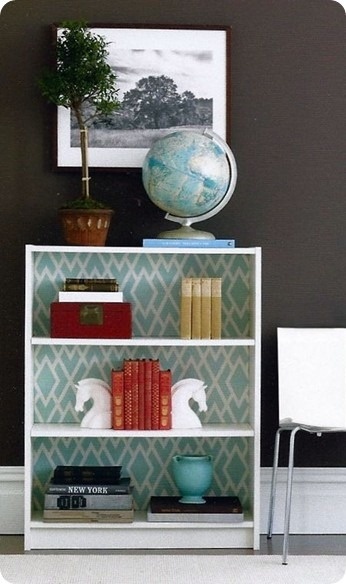 Bland and boring bookcases can look gorgeous with a little back love. Paint the back of them with a contrasting colour or line them with a patterned fabric. One idea is to cut pieces of cardboard the size of the opening, glue fabric to it and attach to the back of the bookcase. Instant gorg! A little decorator's secret is displaying items in odd numbers. Threes and fives work really well. There is something about the balance that just works. Play with differing heights and layer from back to front with your books and items to display. 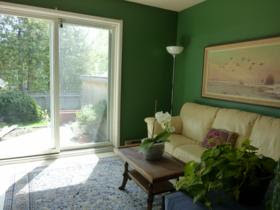 Contrasting with colours will also reduce monotony. If you are displaying books, try to organize them by colour groups. This will create cohesion. Adding a mirror to your bookcase is a great way to allow the space to feel larger and lighter. Also, you may have lots of items you want to display, however we don't want your bookcase to look like an episode of "Hoarders". If your bookcase is purely for display then no need for practicality. However, we not only needed the space for display and storage but to use as well. For example, we needed a new spot for our trusty Tassimo and a spot to hold our pens. Instead of using a pencil cup to hold your pens and pencils, think outside the box. Look for items in your home that will look more stylish yet useful. I opted for a silver sugar bowl. Overall, we're thrilled with the reno. The room is complete and now it's time to tackle something else. I'm thinking the tv room needs a repaint! For those of you that are Mummys, I hope you had a wonderful Sunday. I had a great day with my kiddies and Mr. Fix-it and a little time to myself at the spa. Heaven!